One of the things that US media frequently mentions is the issue of internet censorship in China. This year, Google got into a row with the Chinese government over Google’s refusal block some of the search results that the Chinese government deems too sensitive for the general public (things got so bad at one point that Google announced it was pulling out of China completely. The company and the government have since reached some type of agreement, though I expect the tensions to arise again in the future). If you search for Tiananmen square, for example, you get lots of search results about the square’s history, design, annual visitors, etc. However, if you add 1989 to the search, you get a message that Google is not available. If you try to go back to the search page, you get the same message and will have to wait a few minutes for Google’s services to return. On Bing, Microsoft’s search engine, you can search for Tiananmen 1989, but if you click on any result that has ‘protests’ or ‘massacre’ in the description, you get nowhere. In addition to search results, some websites are completely blocked over here. Twitter, Facebook, YouTube and many of the popular blog sites like WordPress or BlogSpot are not available (I assume that Squarespace, which hosts this blog, is just not important enough yet for the government to care. Give me a couple years). Sites that allow people to spread information quickly and en masse seem to be the main targets for censorship. I have also heard that during certain times of the year (the first week of June, for example), mainstream news sites like the BBC or New York Times are blocked, though I have not seen that during my time in Beijing. The censorship is not 100% effective, however. Some of you may have noticed that I have managed to make it onto Facebook while I have been here, despite the fact that it is blocked. To be honest, it’s really not that hard to get around some of the government’s controls. 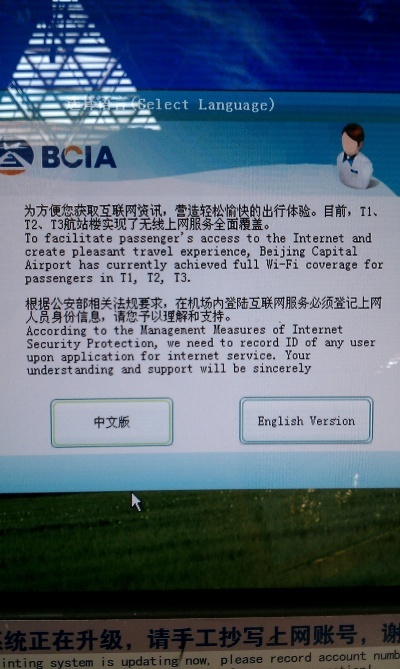 You just have to set up a VPN (Virtual Private Network), which sounds complicated but is not. Many companies have made it simple. You download a piece of software (often for free) and then log in to a server when you go online. They route your internet traffic through servers in the US or the UK (or many other countries), but you are free to visit just about anything you want to. The re-routing slows your connection speed, but it is certainly worth it. I’m sure that the Chinese government is aware of VPNs and I would guess that that they are working to find a way to thwart their use. The battle between the netizens and the government is a never-ending cat-and-mouse game, with the government introducing new controls and the techies figuring out how to beat the government. For now, the VPN side seems to be winning. Here's a quick story that may or may not be related: I was wandering around the other day and came across an internet bar. It was about four in the afternoon and I wanted to see who might be in an internet bar at four in the afternoon. I have heard stories about gamers in China being so addicted to their games that they play for 24+ hours at a time, so I walked in to see for myself. The room had four long tables with about 10 monitors on each. There were only about 10 people in there, and it looked like many of them were playing games. I asked to use one of the computers, and the girl behind the desk asked to see my passport. Passport? I wasn’t carrying my passport. Is a student ID from BLCU okay? No. Why not? She then proceeded to rattle something off in Chinese. I don’t know if she was dismissing me, cursing me or explaining the situation to me, but one thing was certain: I wasn’t about to get onto a computer without my passport. Stonewalled, I walked out of there confused. Could it be that the government wants to know who is online so they can pinpoint any problems that come up? Or was that a particular rule for that establishment? I’ll probably never know. Update: I think I was right. At the airport today, I saw this sign. Looks like I was probably right about the government. . .